For many vacationers, time away from home is filled with indulgence and rarely resembles one’s health routine at home. While there’s nothing wrong with letting loose while you’re on vacation in Niagara Falls, for those who prefer to adhere to their personal standards there are definitely ways to do that without sacrificing fun. While it all depends on you and your personal health preferences and habits, there’s nothing wrong with a little indulgence while traveling. 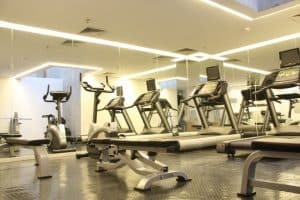 However, between a combination of the practices you use at home and smart choices while you’re in Niagara, you can keep your health and fitness routine on track and avoid those inevitable feelings of guilt if you stray from your routine. These are a few tips to keep you healthy and happy while also having a great visit to Niagara Falls. Sheraton on the Falls offers up a brand new, state of the art fitness center so you can squeeze in a workout before the rest of your group is up in the morning, or during some downtime in the afternoons. With a wide array of fitness machines and personal training options, Sheraton Fitness can meet all of your exercise needs while you enjoy Niagara Falls. 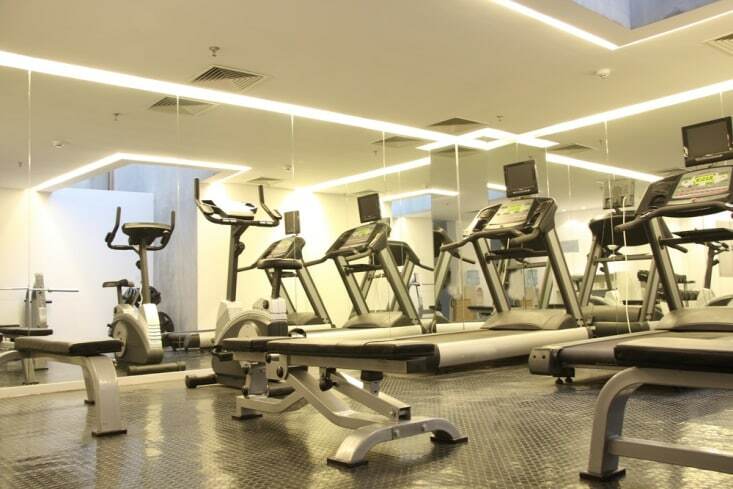 If needed, the Sheraton staff can also customize a workout routine specifically for you during your stay. Enquire with your hotel concierge or front desk staff for more information. This generally goes without saying but staying on top of hydration is crucial, vacation or not. You’re likely to be busy during your visit, so remembering to hydrate might slip your mind. While bottles of water are available at virtually every shop as you stroll through Niagara the thought of picking one up might slip your mind. Whether you bring your own bottle or choose to purchase bottles as you go, remember that water is crucial and will help you feel better and have a better experience overall. This is also especially important to children and the elderly you may be traveling with. Ensure that everyone in your group drinks water throughout the day and you’ll be amazed at the results. Again, indulgence can be the name of the game while on vacation, but that doesn’t mean you have to abandon your diet while in Niagara. Healthy food options are abundant and you can choose from a number of eateries that specialize in vegan and vegetarian food. As more chefs realize they need to cater to customers on specific diets, you’ll even find that burger joints and pizzerias have healthier options to choose from. This means that the other people in your group can indulge while you can choose from healthier options, so everyone comes away satisfied. While some people abandon their fitness and diet regimens while on vacation, others feel obligated to adhere to their standards no matter what. No matter which you choose, taking advantage of your hotel’s facilities and scoping out vegan and vegetarian options at local restaurants can help you stay healthy and avoid vacation guilt.